Now when I posted a clip from Letterman back at number 15, I said another performance from that show was on the way at 12 and Roy speculated that we may overlap on this one. It was Roy who first alerted me to the wonders of Deltron 3030‘s Event II, referred to here by Letterman as a ‘hip hop supergroup’. This is my favourite track, ‘City Rising From The Ashes’. If you’re going to appear on live TV, always attempt to outnumber the studio audience…. Scroll down for Roy and Andy or catch up on numbers 20 through 13 here. 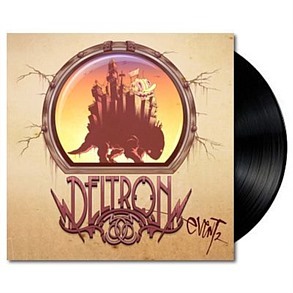 Sci-fi Hip Hop at its finest; obviously love this (although there are better on the album – its that good !) but not the track or artist I thought we’d overlap on ! The guy on the decks is Dan The Automator from Gorillaz fame. Its higher up in my rundown, but does have nearly as many people on stage as Deltron ! Yes it does get better as it goes on. Great choice – It’s a lovely song and very nearly made it into my Top 20 as well. One of the developments of 2013 on youtube seems to be the ‘official lyric video’, often used as a placeholder till the final video is ready – e.g. Katy Perry’s Roar which showed the lyrics as text messages. I remember buying Smash Hits just to get the lyrics, so what goes around comes around….